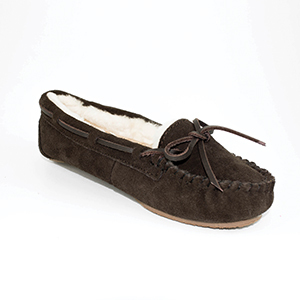 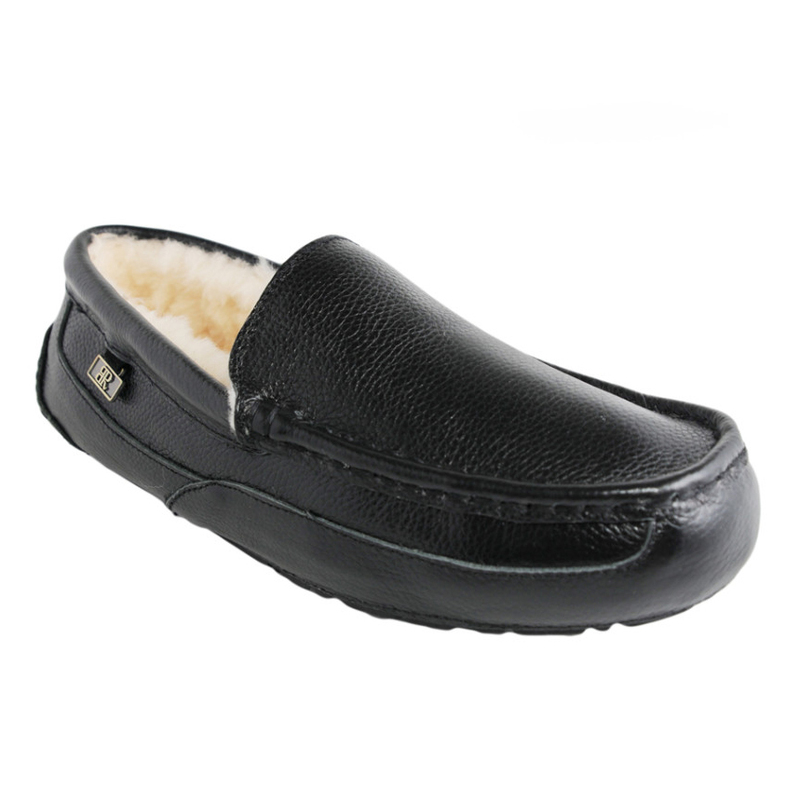 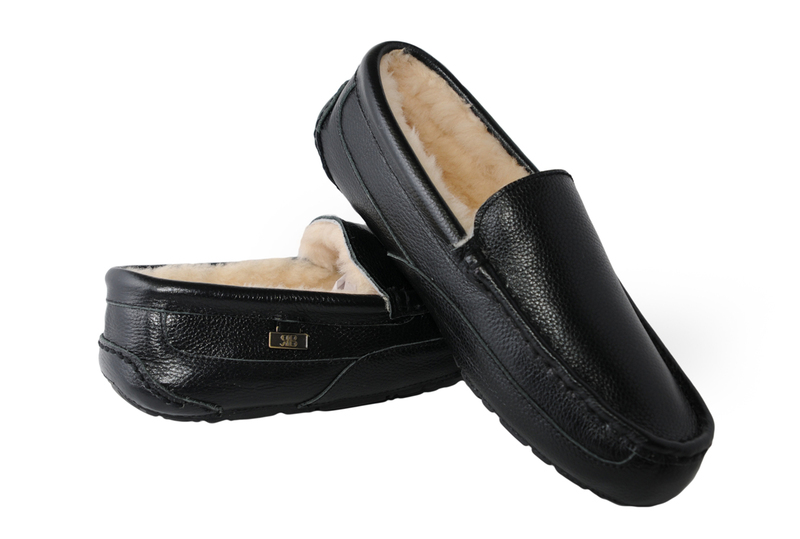 These leather Moccasins are the definition of luxury and class. 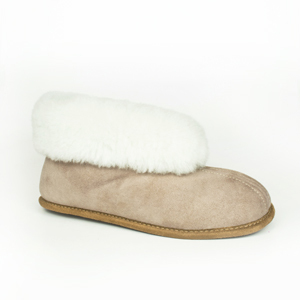 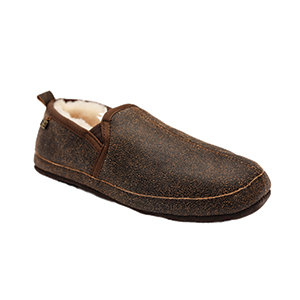 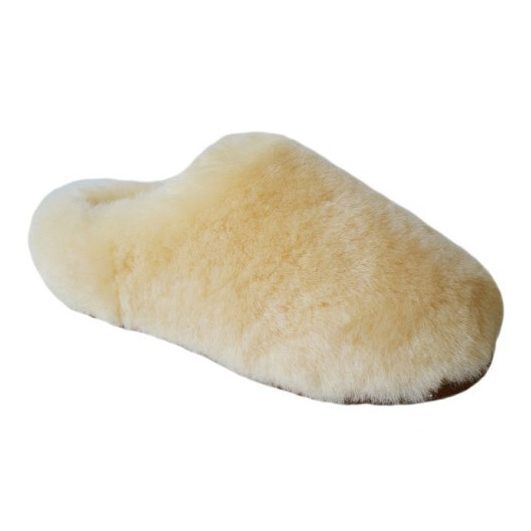 The soft, yet sturdy leather exterior paired with the moisture wicking sheepskin interior make this our most elegant and sensible slipper. 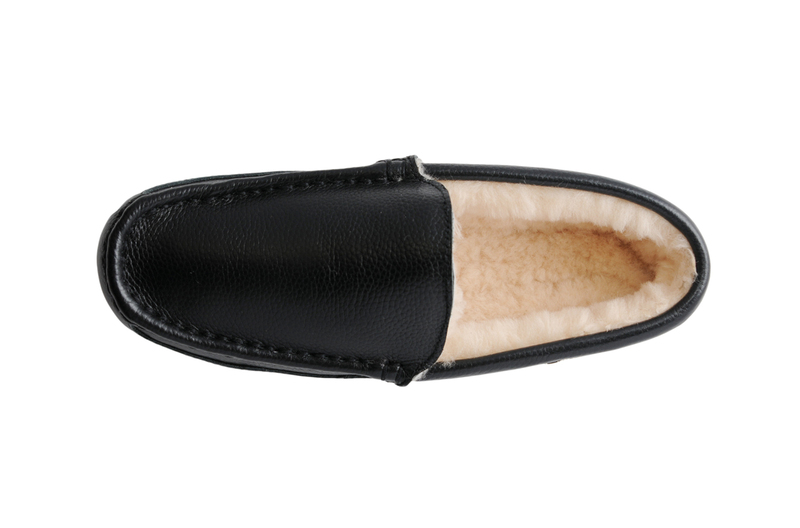 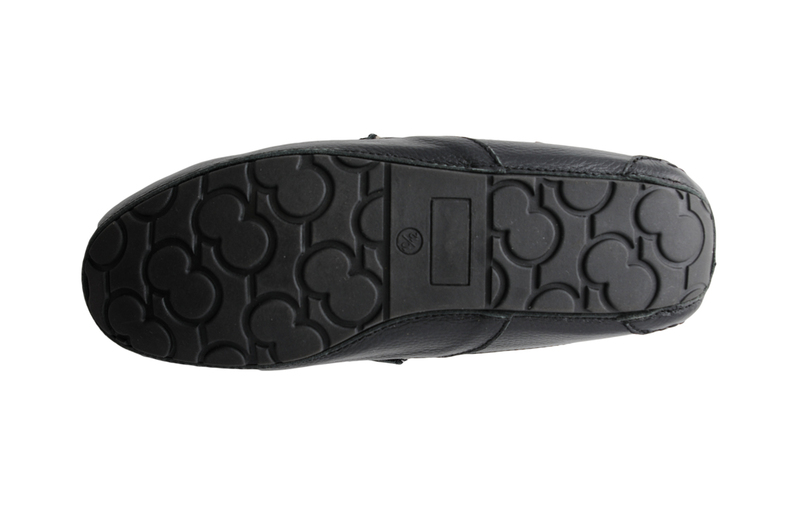 Made with the highest quality skins and a durable and robust rubber sole, our Black Leather Moccasins are our iconic slipper.